There will be changes to R and T train services on the night of Monday 3 December between Kerava and Riihimäki due to maintenance. The 0.40am R train from Helsinki and 1.51am T train from Helsinki will terminate at Kerava, from where passengers can continue by replacement bus 969X to Riihimäki. The bus leaves at 1.05am and 2.33am and runs via the intermediate stations. The 2.53am train from Riihimäki (Jokela 3.16am) will only run from Kerava to Helsinki. 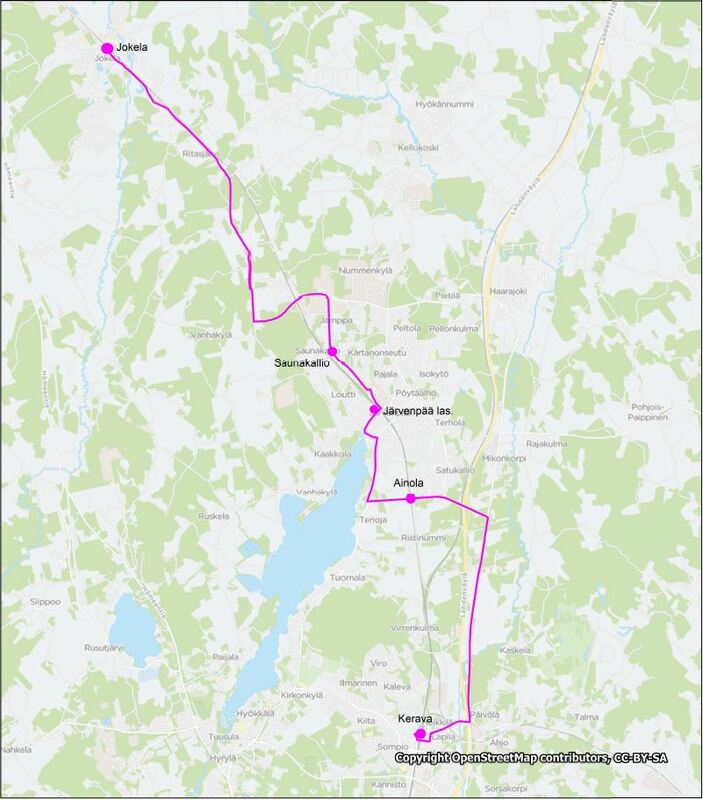 Bus 969X will leave from Riihimäki at 2.42am (Jokela 3.15am) via the intermediate stations to Kerava, where passengers can change to N train leaving to Helsinki at 4.05am. Ainola: Stops on Poikkitie, on both sides of the Myrskykatu intersection. The replacement buses and above-mentioned trains will be low-floor.